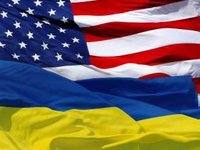 The United States intends to provide Ukraine with $78 million in additional international technical assistance, reads a statement posted the website of Ukraine's Ministry of Economic Development and Trade (MEDT). "The Cabinet of Ministers on August 22 approved the signing of additional agreements to the September 14, 2014 agreement on the fulfillment of a task in the sphere of development between the governments of Ukraine and the United States of America on improving transparency of governance and stable economic development. The respective orders were prepared by the Ministry of Economic Development and Trade in connection with the intentions of the U.S. government to provide additional funds for the implementation of the goals envisaged by the agreement," the report says. In particular, the U.S. government intends to allocate $54.4 million in additional international technical assistance to ensure the accessibility of investment activities to the middle class in Ukraine, strengthen the potential of the private sector of the economy and improve energy efficiency and energy security, the ministry said. "Thus, the total amount of technical assistance for these goals under the agreement, taking into account additional funds, will exceed $139 million," the ministry added. According to the report, the signing of additional agreements also provides for the provision of $23.6 million for governance reform. In particular, this includes bringing Ukrainian legislation into line with European standards, improving the functions of public oversight, as well as increasing the level of government accountability. For these purposes, the total amount of technical assistance, taking into account additional funds, will be $62 million, the press release reads.